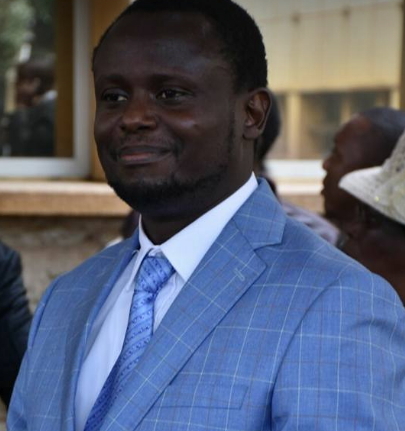 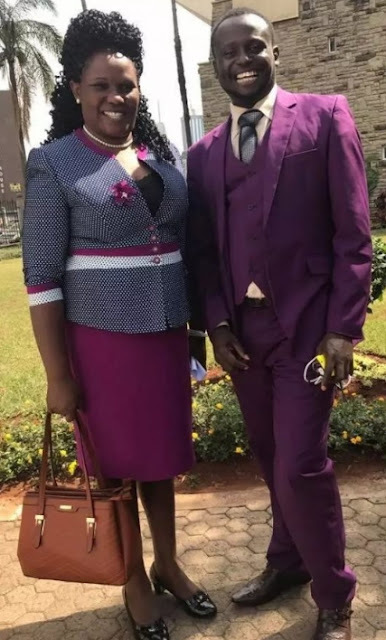 Hon Mwangaza Kawira, a female Kenyan Politician who married her campaign manager in 2012 has surprised him once again. 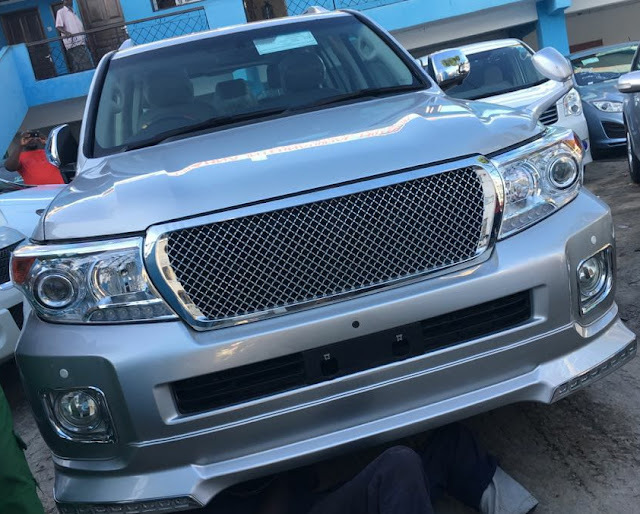 On the 5th of December 2017, the Nairobi based MP presented a brand new 2018 Toyota Land Cruiser VX to her husband, popular Kenyan musician Murega Baichu, 29, as Christmas gift. 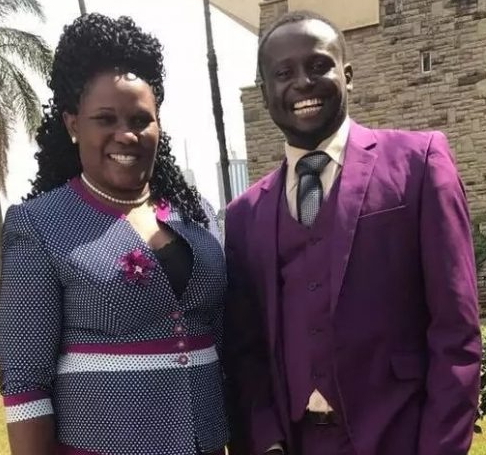 After presenting the wonder on wheels to her 29-year-old husband, she took to Facebook to say these prayers. 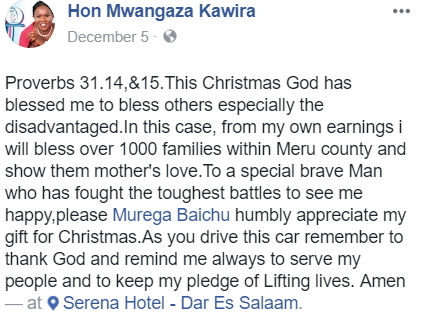 The 44 year old politician has 3 children from her previous relationships.